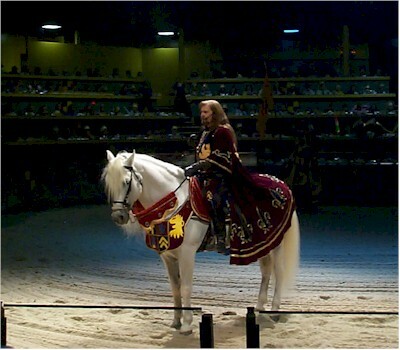 Scott and I went on a field trip yesterday to Medieval Times in Buena Park (up in Orange County). The dinner show was fascinating and educational, featuring knights in a variety of tournaments. I've always regarded field trips as once-in-a-lifetime opportunities to see Matt and Scott with their peers. Fortunately, my job has enough flexibility that I've missed very few of them. We're realizing more and more that our kids are with us for such a short time. Special times like field trips come and go, yet they're the among the events we remember most when we look back on the childhood years. Carpe diem.